Are you afraid to get a pet because you don’t want couches decorated with dog hair or floors imprinted with mud-stained paws? Or – do you already have a pet and can’t help but resent him every once in a while for putting his dirty feet on your granite countertops when begging for a cookie? Either way, those cute faces are pretty much always worth it, especially when cleanup doesn’t have to be a hassle. Here at West Broad Residences, our residents have access to an on-site Paw Wash station that helps you clean up your dog after a romp in the park (or a muddy walk in the rain). 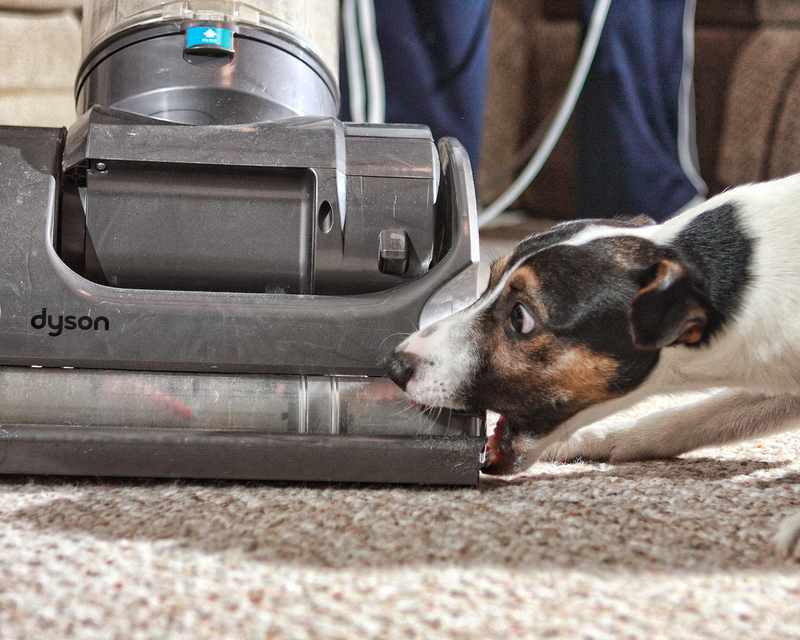 When you have a pet, it’s worth investing in a specialized vacuum. Head to your local Best Buy in Baileys Crossroads, where you can find the Dyson Animal line of vacuums that don’t lose suction or have filters that require replacing. The best part is, dog hair doesn’t get tangled up inside of this device! You can use it to remove hair from your carpets, and your upholstery. If you can’t keep up with all of the hair and dirt, that’s understandable. Between work and play, it can be a lot of additional effort. That’s why we can recommend maid services in the area to our residents. Just ask the West Broad concierge for assistance. There’s no excuse for keeping your pet indoors when you live in such a beautiful community. We recommend taking him or her to the Benjamin Banneker Park just a mile away. Make sure your dog has the chance to get some exercise while taking care of business. There’s also ample green space in and around your neighborhood for quick jaunts outside. The more exercise he or she gets, the less likely they are to jump up on your countertops and furniture as well. It’s pretty much a win/win situation. When Spot has his own space, he’s less likely to invade yours. Let him shed on his own bed or blanket; stop at the Wylie Wagg on Leesburg Pike and buy a great, cushiony bed for him/her. The best kinds are those with bolsters around the side, so your buddy can curl up and feel completely comfortable in his own, personal TV-watching spot. It’s easy to have a pet when you live in an apartment community with ample space, indoors and out, for both of you. You also don’t need to compromise your cleanliness just because you have a dog that loves running in the mud (and what dog doesn’t). Cleaning with a pet at home is a cinch. Learn more about our resident services—and the West Broad neighborhood—to discover how easy we make it to keep your place, and your pet, clean!